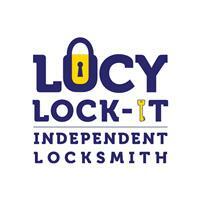 Lucy Lock-It - Locksmith based in ANDOVER, Hampshire. I carry out work on both domestic and commercial properties including emergency lock outs, lost keys, changing locks when you move home, insurance upgrades and repairs. There is NO CALL OUT CHARGE and I offer free no obligation quotes. Discounts are offered for all serving armed forces, students and senior citizens. I carry stock on my van meaning I can usually replace, upgrade or repair your lock at the time of the visit and any parts I use are guaranteed for a year. I use brands such as YALE, UNION and ERA as well as British Standard (5 lever)Mortice locks. I accept any major debit/credit card, pay pal or bank transfer and all my work is invoiced directly to you. If you simply want some security advice about your home please don’t hesitate to call. Andover based (SP9, SP10 and SP11 postcodes) but I cover large parts of Hampshire and Wiltshire including Stockbridge, Pewsey, Amesbury, Whitchurch.